UN member states have taken the historic decision of agreeing on a new framework — the Global Compact on Refugees. The word “refugee” gives to a great deal of frenzied rhetoric in some of the world’s wealthiest nations. We hear about the global north being overwhelmed by outsiders, with its way of life under threat. Refugees are dehumanized, vilified, and blamed for all kinds of social and economic ills. The reality is that communities in developing nations host far larger numbers of refugees. While some politicians in poor and rich countries spend time and money stoking fear or pushing people away, it would be a far better investment to figure out how best to help refugees regain their dignity, self-reliance, and independence through innovative partnerships and forward-thinking policies. If you want to know how to deal with the global refugee crisis, look at what is happening in Ethiopia, Pakistan, Turkey, Germany, or Ecuador, to name a few. This gives rise to some difficult conversations. As head of the UN Refugee Agency, I often find myself talking to leaders of poor countries that are facing huge influxes of refugees, and being asked to explain why some wealthier countries are trying to keep refugees away. Let me set out the reasons why such practices are based on misperceptions and false assumptions, and is in practical terms self-defeating. First, some numbers. There are 25.4 million refugees in the world today, an exodus fuelled by a proliferation of conflicts, poor governance, and human rights abuses, which the international community seems unable to resolve. Although some of the more strident reporting and political commentary might lead you to think they are all camped on the doorsteps of the global north, in fact, 85% of refugees are living in poor or developing countries that neighbour their own. Those countries are the ones who bear the greatest burden. Second, some reality. Refugees do not leave home with the aim of stealing school places or jobs or social security entitlements. They leave to escape being bombed, shot, stabbed, tortured, or imprisoned. Like us, they were once people with settled lives, skills, jobs, and ambitions. The difference is that violence tore those lives apart. The contrast in how refugees are greeted in different parts of the world is striking. Some people are quick to demonize them. Others seem surprised that refugees who have struggled to find sanctuary or meet their basic needs in one country might move further afield — as if moving onward in search of safety somehow diminishes one’s claim to refugee status. But there is a positive side to the story all over the world — a growing movement of governments, development and humanitarian organisations, businesses and foundations, youth, sports and community groups, and ordinary citizens, which is forging a stronger, fairer response to refugee situations. This has come together in a new international framework — known as the Global Compact on Refugees — that was just agreed by member states of the UN General Assembly in a historic decision this week. It is a non-binding agreement that aims to scale up a more progressive approach to refugees that has already taken hold in many parts of the world. Some examples. In Uganda, the government has granted refugees plots of land to farm, while mobile providers have extended coverage and brought internet access to thousands of refugees and locals for the first time. Iran changed its rules so that the children of undocumented Afghans could attend state schools, and then made the fees for refugee children the same as for their Iranian counterparts. “I love my teachers because they do not discriminate among Iranians and Afghans. 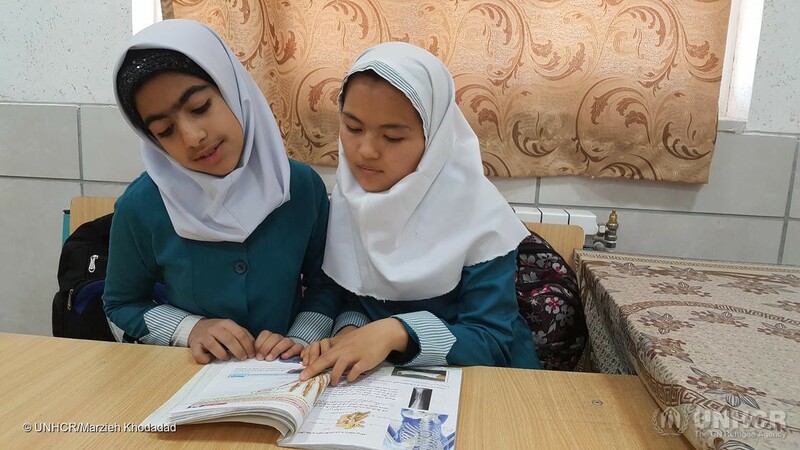 The teachers treat us like their own children.” Afghan refugee Najla (right) with her Iranian classmate at school in Shiraz. 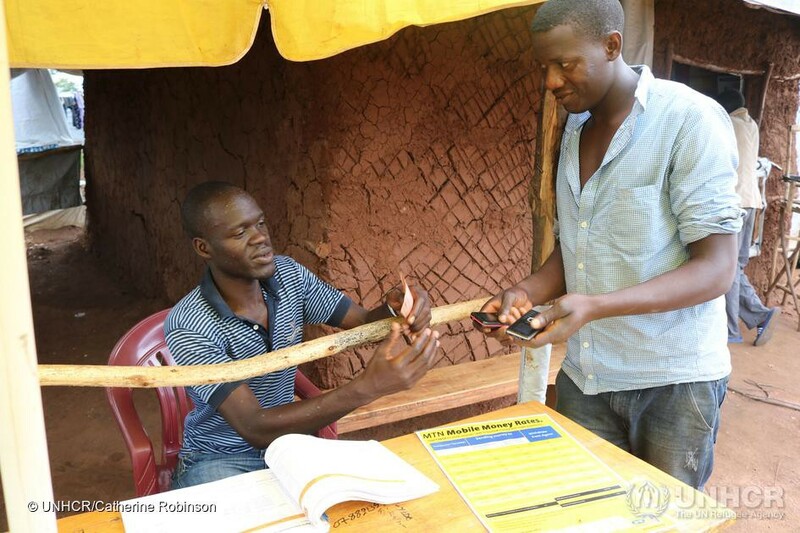 National banks in Malawi, Zambia, Rwanda, and Mexico now recognize refugees’ ID documents so they can access financial services. Microfinancing institutions have begun lending to Syrians who have fled to Lebanon, and to Colombians who taken refuge in Ecuador. The World Bank is bringing huge new resources and development know-how to support communities welcoming refugees. These initiatives, and hundreds more like them, have a common value: instead of treating refugees as a burden, they recognize their potential as human beings. They acknowledge not only that refugees have the same rights as everyone else, but also the potential and aspirations to contribute to the communities who welcome them and to their own futures. A South Sudanese refugee buys airtime from a mobile phone vendor in the Imvepi settlement in northern Uganda, so he can stay in touch with his family back home. Central to this approach is to bolster the communities who welcome refugees — their public services and infrastructure need reinforcing to receive huge numbers of newcomers. But the strength of the Global Compact on Refugees is that it takes our existing obligations in refugee protection as a starting point — the long established principles of granting shelter and asylum, protecting the weak — and adds new ways to offer bold and systematic support to refugees and those hosting them. Sharing responsibility can also include the reliable funding of humanitarian programmes, additional development instruments, offering more resettlement places, reuniting separated families, providing educational scholarships, supplying technical expertise, and supporting private sector investment in areas that host large concentrations of refugees…Taken together, such actions can have a transformative effect. Our efforts to boost cooperation on refugees sits alongside another agreement just endorsed in Marrakesh, on safe orderly and regular migration. These two Compacts — for two distinct and separate groups of people — will help reinforce each other. We know that refugees sometimes travel alongside others on the move. Better managed migration with more options for people to move in regular ways can help reduce pressure on overloaded asylum systems. And more tangible solidarity for refugees will encourage a more tolerant environment for all people on the move. But to make more progress we need cooperation on a global scale. It will make demands on our time, our finances, and our compassion. But it will save lives, encourage peace, and invest in generations to come. And so it will be worth it. 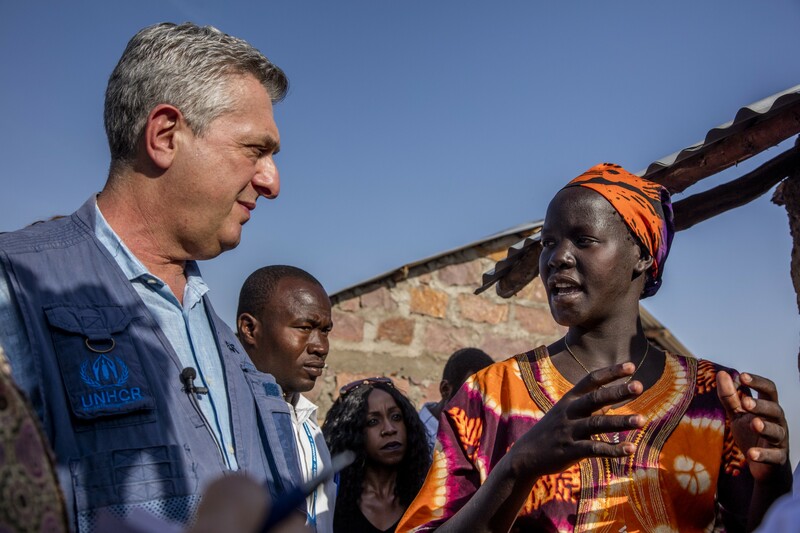 Filippo Grandi is the UN High Commissioner for Refugees.